iDevices has announced iShower, a water resistant, Bluetooth-enabled speaker that plays music directly from all Apple devices (including iPhones and iPods) and Android devices. iShower mounts in your shower or can be taken to the beach or pool for up to 15 hours of safe listening. 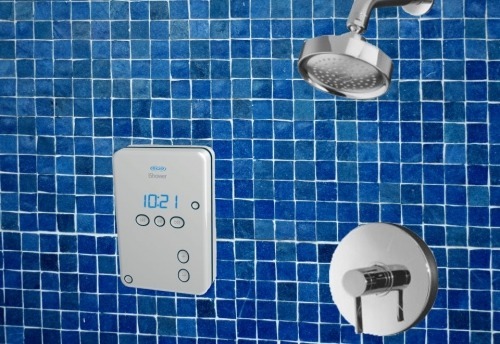 iShower remembers up to 5 Bluetooth pairings, letting users enjoy their favorite music with their preferred music source in aqua-centric environments that would otherwise potentially harm their device. Featuring long-range Bluetooth with a 200-foot range, the iShower is easily detachable for use in the backyard, the pool, or even the beach. ● Play/pause/forward/rewind & volume functions. ● 200-foot range -- leave your device anywhere in your home away from potential water damage. ● 15 hours of streaming audio on 3 AA batteries (included). ● Time of day display. ● Easy installation (no tools needed). ● Detaches, easy to use on the go. ● Standing and hanging options. ● Optional anti-fog shower mirror. Priced at $99.99, iShower will be available in March through iShowerinc.com and select retailers. iShower comes with 3 AA batteries for 15 hours of music.